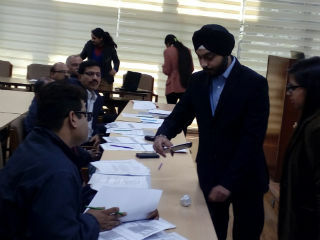 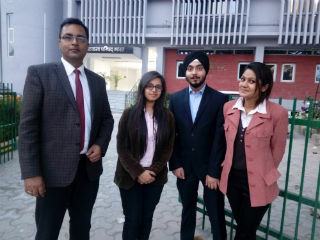 On 7th February 2017, a team of JIMS MCA students Sundeep Singh, Versha Rana and Vaishali Gupta along with their faculty mentor Mr Devesh Lowe (Assistant Professor, JIMS), participated and presented their mobile application "Survivor" based on the theme "Waste Minimization through Recycle Reuse and Reduce" as part of Hackathon event organized by National Productivity Council (Under Ministry of Commerce and Industry, Govt of India) at NPC head office, Lodhi Road. 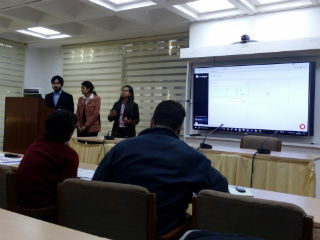 Project was well received and appreciated by Jury members which included Ms Kalpana Awasthi, IAS, Director General of NPC and other eminent officials. 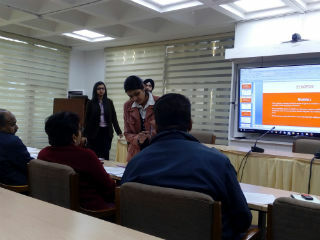 We wish them good luck for all future endeavor.